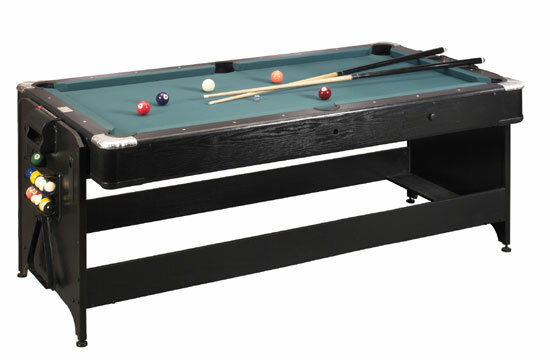 ABC Billiard Plus offers game room furniture, games, hockey ,soccer and game tables. 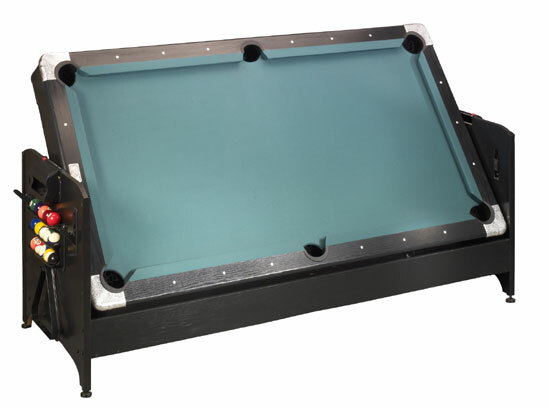 The Fat Cat Pockey Table can easily flip from an Air Hockey Table to a Pool Table in seconds! It has two locking levers at each end to incorporate a sure locking system for the table top. Easy-to-adjust leg levelers keep the playing surface nice and even. 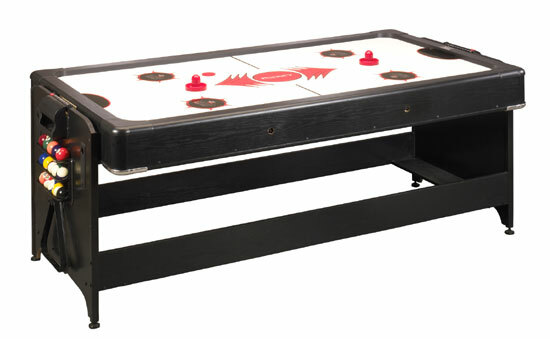 The Air Hockey Table has 2-sided puck return, an electric fan system and an ultra glide air hockey surface. The Pool Table has a non-slate table surface, rubber bumpers and plastic drop pockets. Accessories such as cues, balls, puck, goalie, triangle, brush, chalk and wrench are included. • Playing Area: 71" x 35"
• Overall Table Dimensions: 80" x 44" x 32"
• Playing Area: 74" x 38"